Hello everyone! You’ll be pleased to hear that I’ve finally tackled the game’s performance issues, wrestled them to the ground, and taken their lunch money. That is, uh…I may have lost track of where I was going with that metaphor. Anyway! The point is, Telepath Tactics is now running smoother and faster than it has run in months–nearly all of the slowdown that was occurring during larger / longer battles has now been eliminated. improved game performance on maps with lots of characters and objects, and massively reduced slowdown on big battles. fixed a bug where the game would freeze if the last enemy left on the map died from burning or poison. fixed a bug where you could undo scripted character movement in cut scenes by pressing Z immediately after the game handed the player control. fixed an exploit where the player could use the same “unlimited use” ability over and over in the same turn to grind experience. Abilities now grant experience no more than once per turn, no matter how often they are used. fixed a bug in the save game code where dead characters weren’t getting clipped out of the current character roster until after the roster had already been saved. 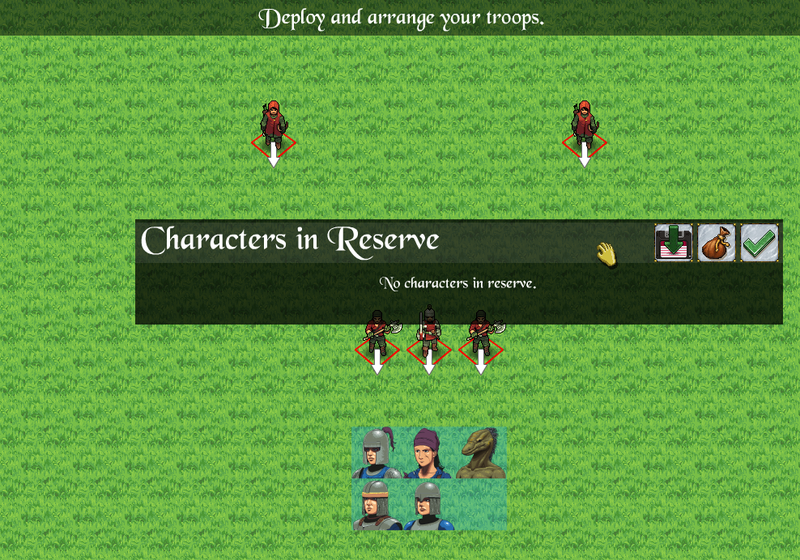 cleaned up the roster-saving code to ensure that it wasn’t getting inappropriately entangled with the army roster array used in the main game (which could have resulted in character deaths getting saved–or character recruitments getting saved–even if the player restarted the battle before completing it). added an extra check to the function that adds characters to army rosters to prevent the adding of duplicates. fixed a bug in which characters who take fatal damage from being shoved into a trap would remain on the battlefield with 0 (or negative) health. 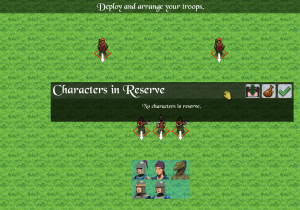 added the ability to drag the deployment window around while placing your characters before a battle. fixed a bug in the battle with Gunther Lathe, the battle in The Teeth, and the battle with Leon Hart where the battle would not end as long as you left a thief alive to wander the battlefield. fixed a bug in the Coria pick-pocketing scene where the map to the mines would remain in the common inventory if you’d had Emma drop it there. fixed a bug where, if the player selected a campaign other than The Vengeance of Emma Strider, then loaded a save slot featuring a different campaign, then quit and returned to the Campaign menu and hit the New Campaign button, the game would start the campaign they’d most recently loaded instead of the campaign that remained selected on the drop-down menu. fixed a few chasm tiles on the Mines Entrance map that had the incorrect elevation. fixed the description of Kinetic Wave. fixed a bug where a character could use an item, the player could undo, and the item’s benefits would be erased while the item did not get its use back. Using an item now simply prevents the player from undoing back to before the item was used. bumped up the base damage on Poison Bolt. added a second chance to inflict Stunned status to the cavalier attack Charge (effectively doubling its chance of inflicting Stunned status, and potentially stunning the target for two consecutive turns instead of just one). fixed bug with unequipping items in the reserve supplies screen. People have mentioned that the inventory swapping bug was often accompanied by characters spontaneously swapping places in the roster–it is my hope that the fixes and improvements I made to the game’s handling of the character roster will fix the issue (though I can’t make any promises, as I’ve never been able to reliably reproduce the bug). As always, if you find a bug, don’t forget to hit ‘L’ to save a log file and report it on the forums! That way I’ll be able to address the issue super quickly. Until next time! This entry was posted on Wednesday, May 13th, 2015 at 8:32 AM and is filed under Game Updates. This post is tagged patches, Telepath Tactics. You can follow any responses to this entry through the RSS 2.0 feed. leave a response or trackback from your own site.